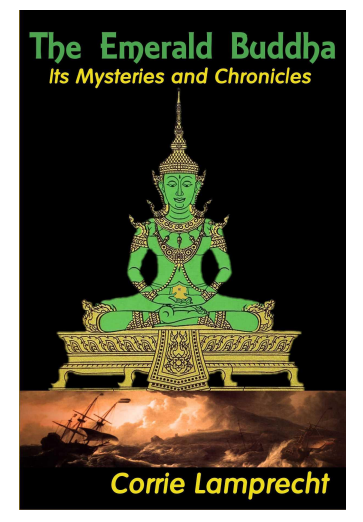 The Emerald Buddha Mysteries and Chronicles. 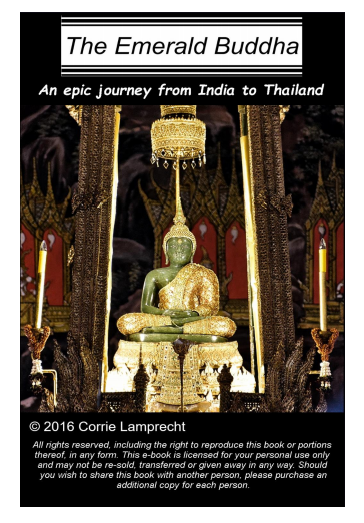 ‘I wrote a book about the Emerald Buddha – History and Chronicles. It is on Kindle for US$ 3.99. In Thailand I will sell direct with deposit to bank in PDF format – Tb 140. The .pdf has many more images than the Kindle version’. In the Royal Palace of Bangkok, Thailand is one of the most revered images in the world. ‘The Emerald Buddha’ and its history stretched over more than 2,000 years. This is an easy to read historical presentation about this image; its journeys, the places it has been and the people influenced by it. Notes from the author. I have been living in Thailand since 2000 and the first three years I stayed in Bangkok. On two occasions, I visited the Royal Palace and temples there but nothing really took my fancy. It was only many years later when I was in Siem Reap, Cambodia at the Angkor Wat temples where I learned about some of the folklore, that my interest was really awakened in the history of South East Asia. So many things are ‘known’ but not really known. There is a lot of history here that is becoming forgotten, mostly because it does not fit into the wish list of those who write the history books today. A very rich history with so many amazing folklores. Over the past few years I have set off on an amazing series of discoveries and I am sad to see much of these wonderful historical incidents are being lost and forgotten; rapidly. There are fantastic stories about the first people that lived in this region over 3,000 years ago. The story of how this land came up from the sea, magical rulers that could change between being human and serpent. There are stories of love, war, honour and creation. Then in more recent times there are the stories of two boys that were doing amazing healings, caused great harvests, taught the people about medicine, astronomy, metalwork’s, the arts of singing, dancing and sculpture. There is the folklore of a magical sword; I have reason to believe it is in fact none other than the Royal Victory Sword of Thailand. Then there are the myths, stories – and history – of the Emerald Buddha.